Platoon Sergeant, 1971. 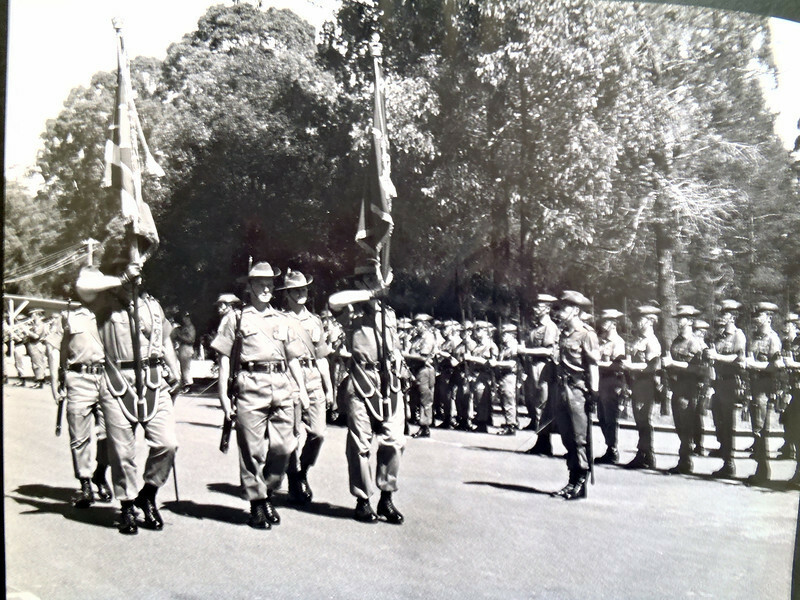 Parading the Regimental Colours at Cannungra, Queensland. It was a time when a large proportion of the battalion (the Ninth) was seconded as cadre staff to the Jungle Training Centre. Interestingly, the colour belts are being worn as they are because of the RSM's whim - this being a time before the dress manual's production.